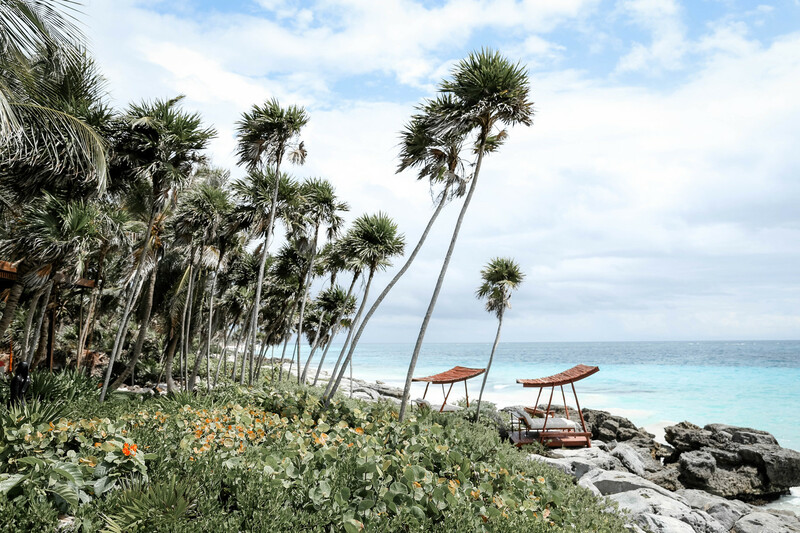 Recognized and known worldwide for its stunning beaches, laid-back vibe, and its signature Tulum charm and style, Tulum has become one of the hottest and trendiest destinations. 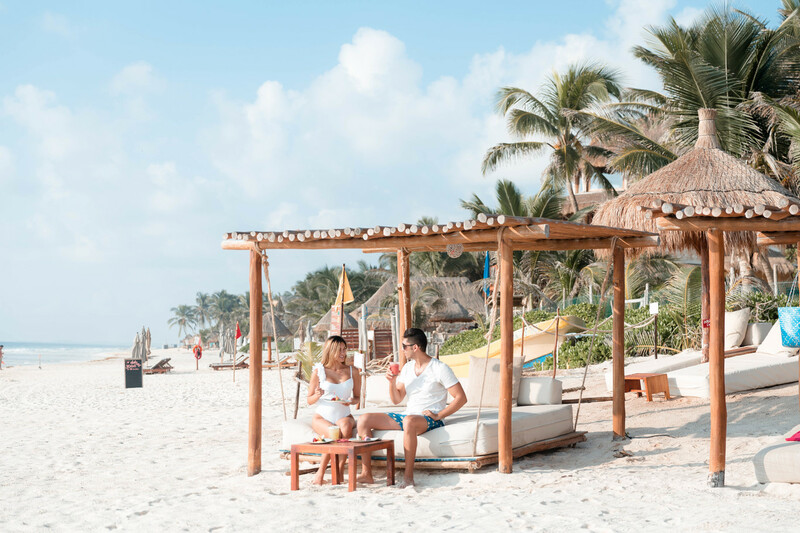 Perfect for couples, families, solo travelers and even for girl trips, Tulum has something for everyone whether you are an adventure lover or the luxury travel type. The only thing about Tulum is, and don’t say I didn’t warn you, is that there is something that will make you want to continue coming back. Since there is no airport in Tulum, the best and most convenient way to get there is to fly into Cancun International Airport. There are many direct flights to Cancun International Airport including domestic (US) and international such as from New York, Houston, Miami, Toronto, Frankfurt etc. From here you can either rent a car, take the shuttle, organize a transfer with your hotel, negotiate with a taxi driver in the airport or take a bus (such as an ADO bus) to Tulum. The most convenient way but also the most expensive option would be to organize the transfer with your hotel ( about $100-150 each way). I would personally recommend either renting a car or taking the shuttle from the airport as I have never taken the bus so I cant personally recommend it. If you do decide to rent a car, it is always better to rent it online prior to your arrival because you will get a much better deal. You will find car rental prices for $1 a day but bare in mind that this does not include insurance or taxes so it can range from $11-60 a day depending on what insurance plan you get. Since we have visited many times, I have a trustworthy driver that I personally use for our airport transfers that I can recommend to you. If you are interested send me an email and I will pass you his info and give you an idea of his rates. 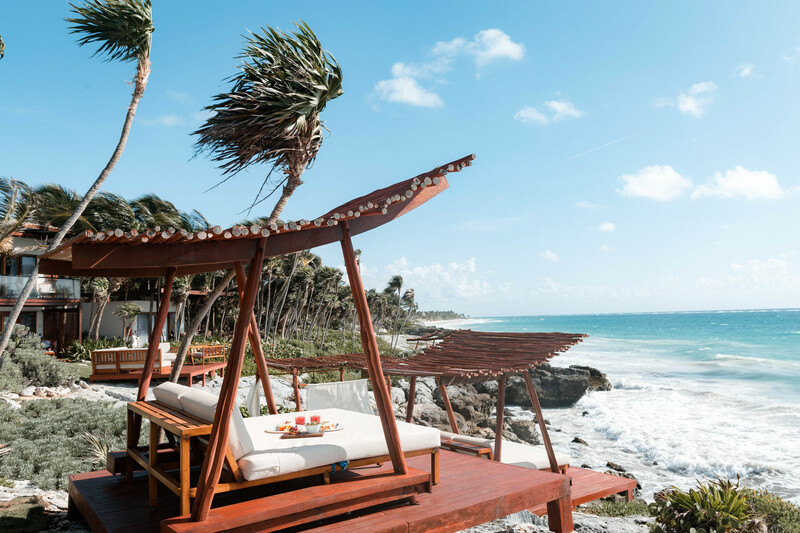 One of the great things about Tulum is the variety of options of accommodations for different types of travelers with different budgets. 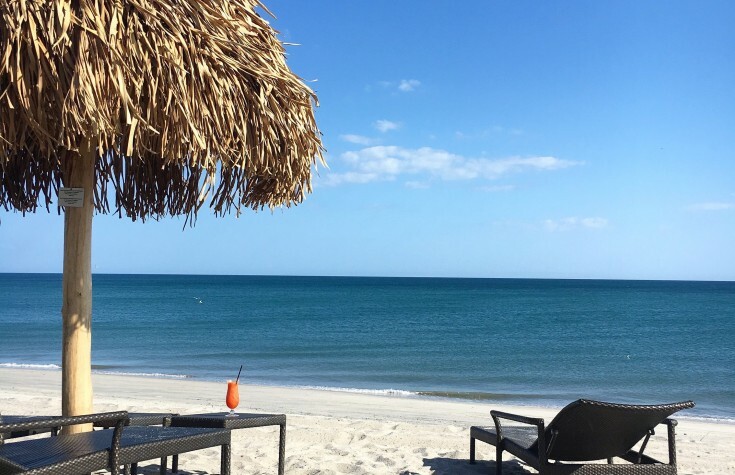 When it comes to accommodations you have two areas that you can choose to stay in – Tulum town and Tulum Beach. Most if not all of the photos and everything you have seen is most likely in Tulum Beach. This is where you have the hotel trip right in front of the beach and all the shops and restaurants. 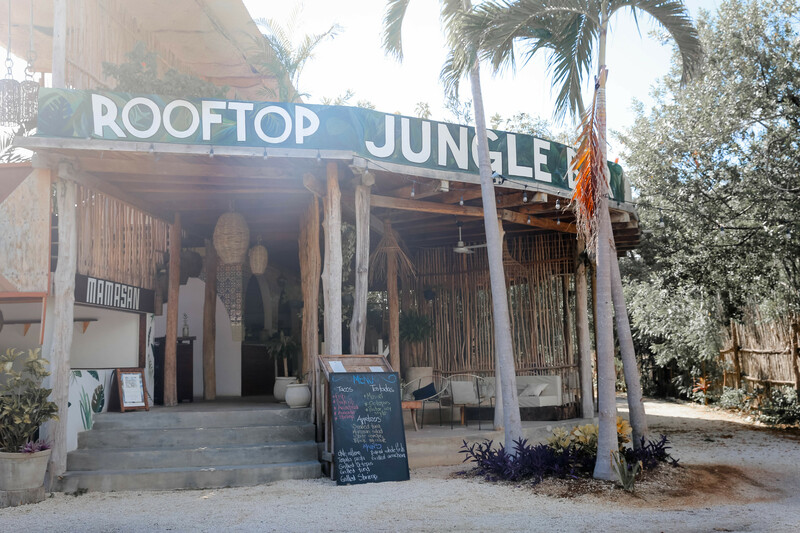 Tulum town is still very close but unless you are looking for ultra-affordable accommodation, you can skip it all together. 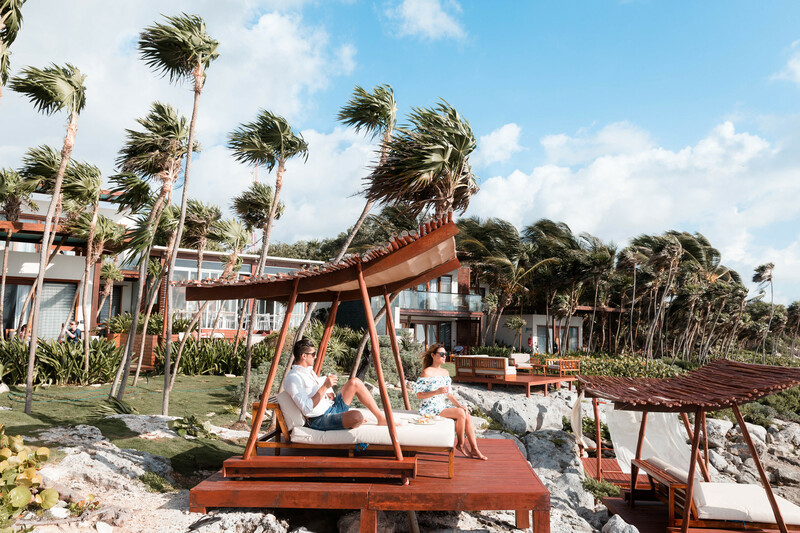 In the hotel strip in Tulum Beach, you can find anything from 5-star luxury accommodation, adults only, family friendly, eco-friendly and hostels. 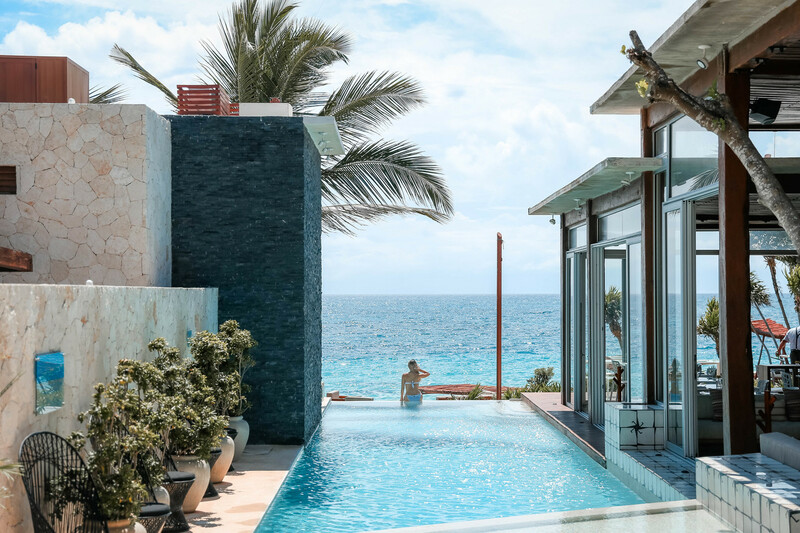 Two of our favorite properties in Tulum are La Zebra Hotel and Mi Amor Tulum, sister properties part of Colibri Boutique Hotels and Small Luxury Hotels. 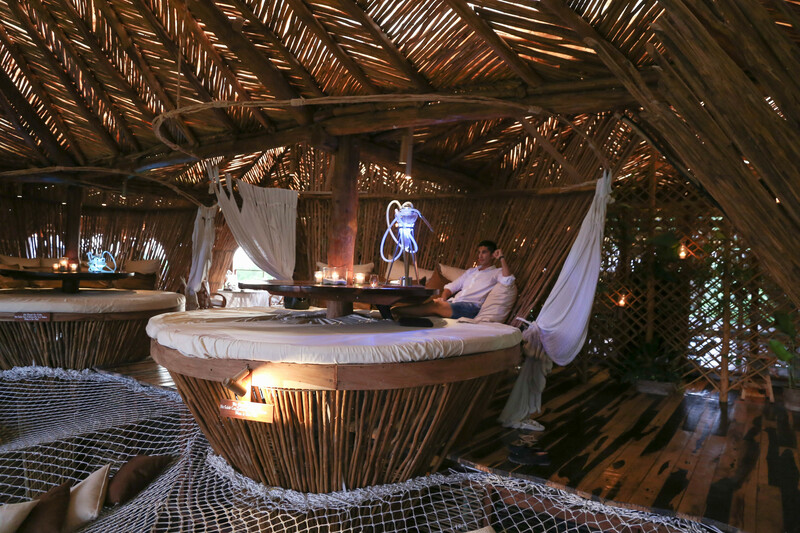 Mi Amor Tulum is an adults only, secluded and romantic hotel located close to Tulum Ruins. 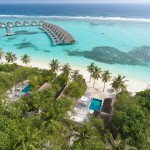 And La Zebra Hotel is also a boutique hotel but its a more family oriented, lively and beachfront property. You can read my complete La Zebra review here and my Mi Amor review here. Another hotel that I have heard great things about for its uniqueness and the experience it offers is Azulik Hotel. Keep in mind that this hotel is eco-friendly and does not offer electricity, wifi or a/c and uses salt water for the bathrooms so its not for everyone. 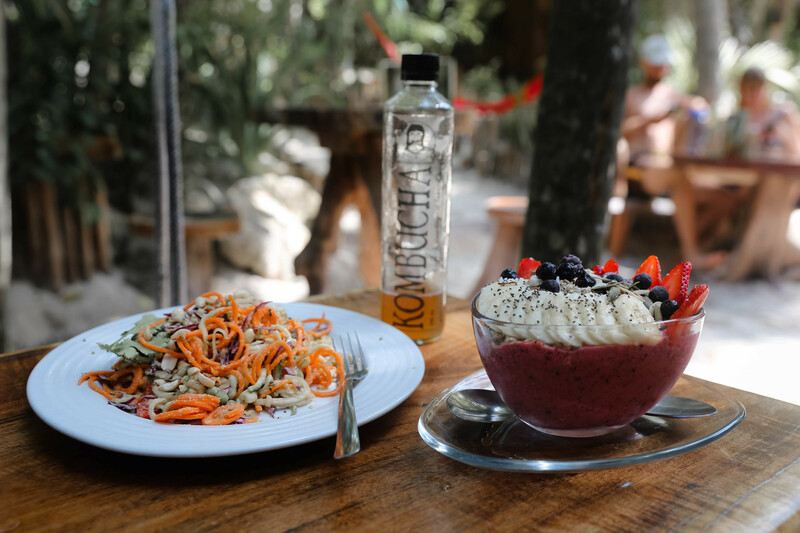 Known for its gastronomy, there are a number of different cute restaurants to visit in Tulum and be prepared to be amazed by the quality of the food! Even for vegans and vegetarians, this place is a food heaven. 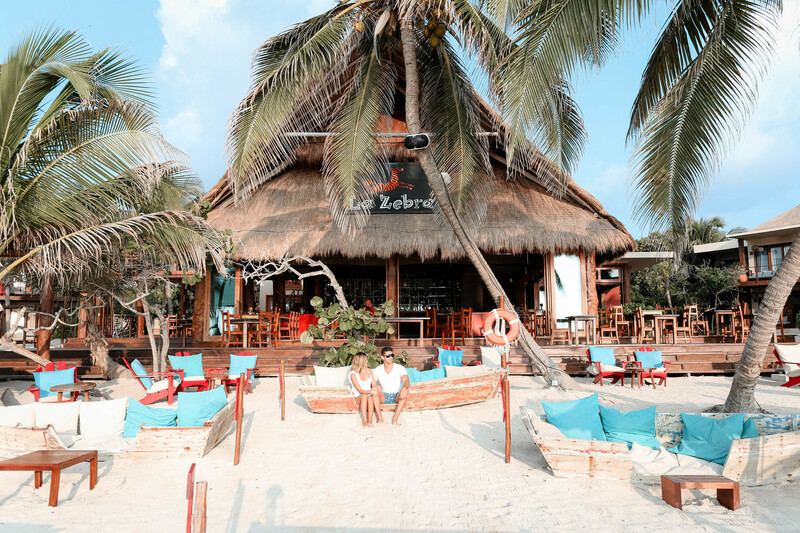 Great food and great ambiance is what Tulum is all about and trust me you won’t have time to try all of the places that Tulum has to offer but its a great excuse to come back. 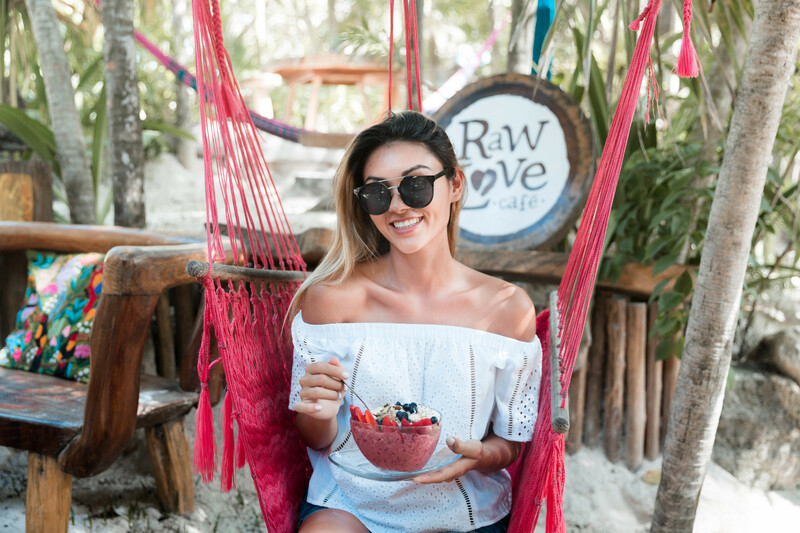 Raw Love Considered to be one of the healthiest spots in Tulum, Raw Love is a raw vegan restaurant known for its killer smoothie bowls and raw cuisine including plates such as raw pad thai (highly recommended), raw hand rolls and raw pizza. We had the raw pad thai and the very berry smoothie bowl which I would highly recommend. This place is a must for vegans or if you are into healthy food and need your daily dose of greens and yummy fruit. Coco Tulum is such a unique place that stands out immediately when you see it from the hotel strip because they have painted the whole place white, even the exterior and hotel entrance. 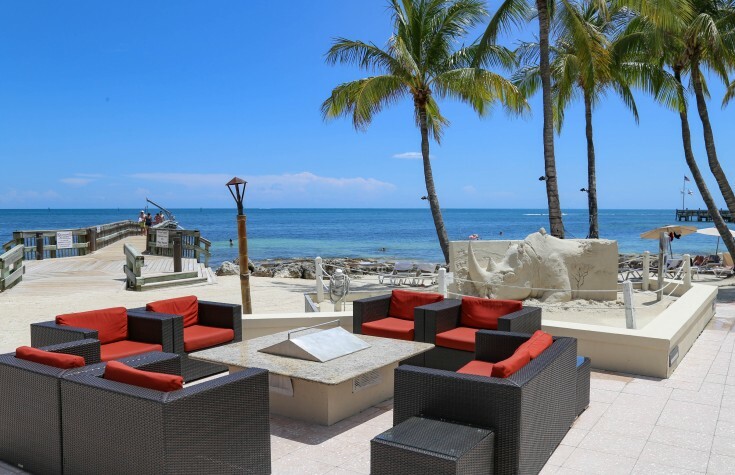 It is a great place to go for drinks and grab some snacks by the beach and just relax. Oh and a great place for photos too. Kintoh is an ultra unique high-end restaurant in Azulik hotel and one of the coolest and most unique places that we have seen in Mexico and makes it to the top of our travel list. 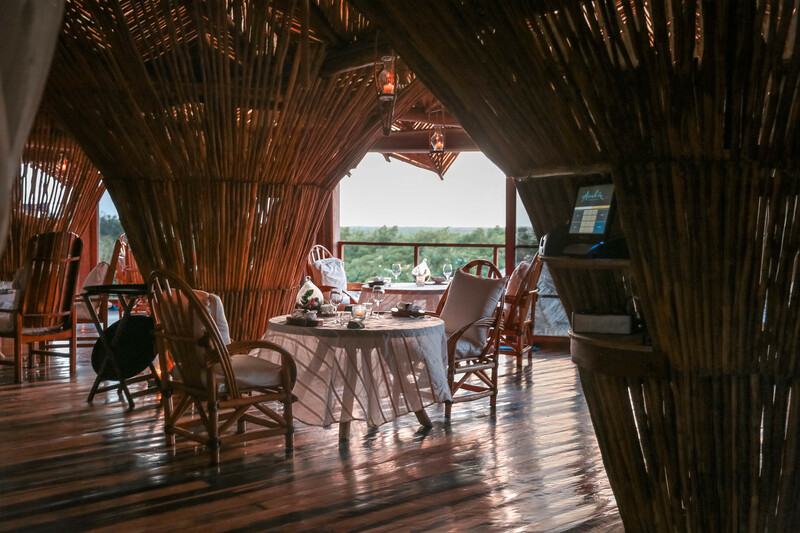 This treehouse restaurant offers a spectacular sunset view and unique ambiance making it perfect for a romantic dinner for couples. We are glad we were recommended to visit this place and had our anniversary dinner there where we enjoyed a five-course vegan menu. Keep in mind that this restaurant is considered fine dining, so it is an expensive restaurant. Oh and beware because one order of shisha (hookah) is over $120 USD! Charlys Vegan Tacos Its all about Tacos in Charlys Vegan Tacos and yes they are all vegan. No fancy or fusion recipes here; this is your traditional Mexican tacos veganized in such a great way that you won’t even notice they are vegan. Oh, and the fried plantain is crazy good too so make sure to try it. Mamasan Once we saw the sign that said jungle rooftop, we didn’t have to continue looking for other options. We went there on a weekday for dinner and the rooftop was very empty – only one more couple by the bar. They have some great vegan options such as the soy meat tostadas which are sooooo good. My son left my sunglasses (he was being naughty haha) that night, so I called next thing in the morning to recuperate them but unfortunately, they were gone….So enjoy the food but take care of your belongings. La Zebra Hotel Not only one of our favorite properties to stay in, La Zebra is the perfect place to go enjoy a nice meal by the beach. It is known to have one of the best margaritas and fish tacos in town. One of the all-time favorite margaritas that you should try is “Tortuga” which is made with cucumber. Since we don’t drink, we tried the virgin version which I know is different but it was still really good. And even if you are not a vegan or vegetarian, you must try their veggie burritos, they are seriously one of the best veggie burritos I have ever had period and they are loved by meat eaters as well! The most common way to get around Tulum is to go about in Tulum Style which means by bike. You will see that mostly everyone in Tulum is going around on their bikes, some which are provided by the hotel or villa that they are staying in. Since the hotel strip is quite small, going about in a bike is definitely an option. But please make sure to rent or get a bike that has lights! This is very important because the road at night can get dark so it’s easy to not spot someone on the bike. For our convenience and not to be worried about the rain (showers throughout the day) as well as the heat and the sun, we decided to rent a car. Both the hotels that we stayed in, La Zebra and Mi Amor offered free parking so this wasn’t an issue. Renting a car is also a very good idea if you plan on exploring such as visiting nearby cenotes, water parks, restaurants, etc. There are taxis as well all over Tulum so you have many options. 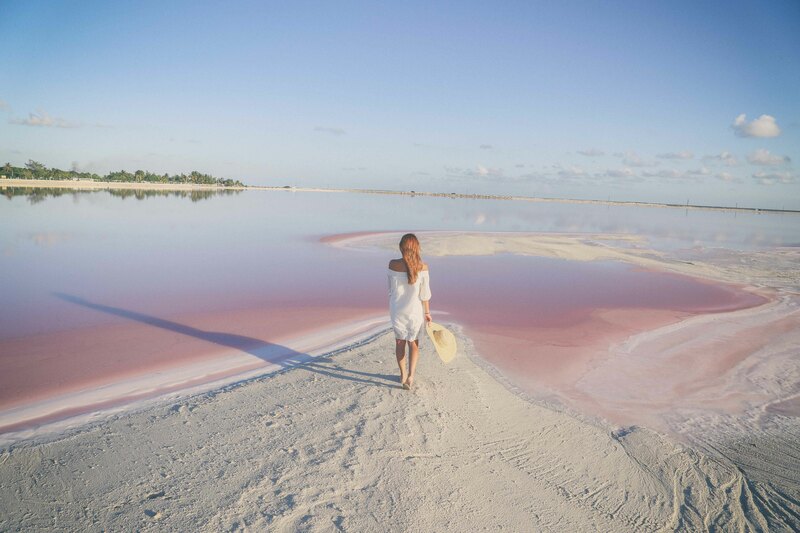 Due to Tulum’s location, there are plenty of different things to do and day trips to take. The most popular ones is visiting a nearby cenote. This is something that I would highly recommend as its a unique experience that you can have in the Yucatan Peninsula of Mexico. 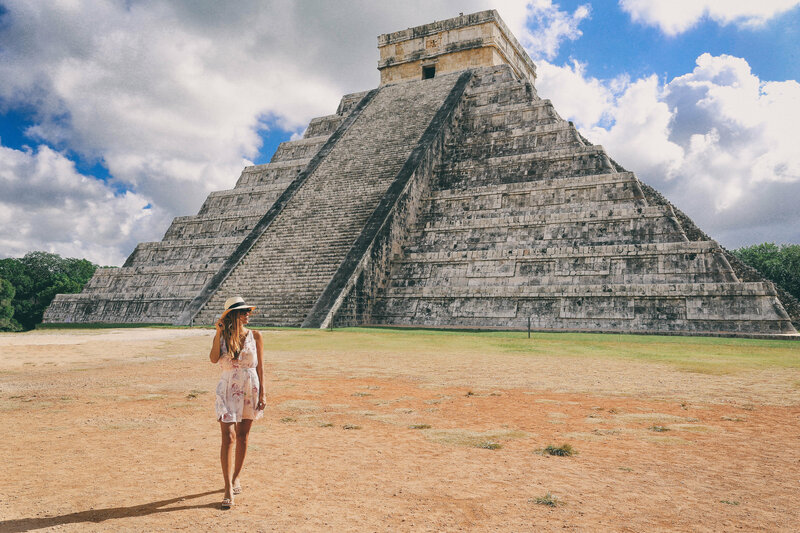 During our stay, we only stayed in Tulum since we had previously been to Chichen Itza, Cenote Ik Kil, Valladolid, Rio Lagartos, the Pink Lakes etc from Playa del Carmen. But places like Ek Balam and Tulum Ruins are very close and accessible from Tulum. Here is my detailed post about Tulum Ruins. We have visited Tulum many times and each time during a different time of the year. Each time we have been incredibly lucky to have great weather. Technically the winter is the best time of the year to visit because of its dry season and its not too hot. This includes December, January, February, and March. However, these are also the high season months. 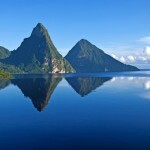 The shoulder months November, April, and May are great months to visit because you can find better deals in the hotels, fewer tourists, and it’s relatively dry. Months like June, July, August, September, and October are the summer months (also known as Hurricane season) so you can expect rain. 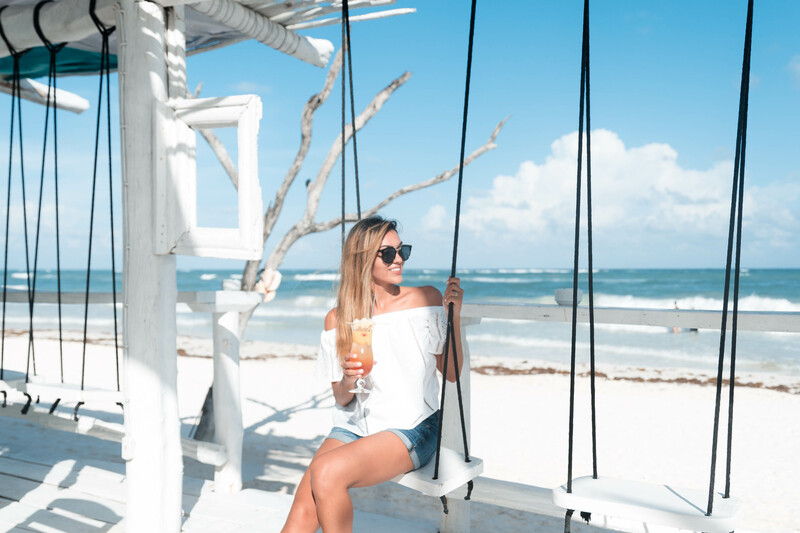 This last time that we visited Tulum we went the last two weeks of September and had nothing but sunshine! It was the same in January, March, April, July, October, November and December. 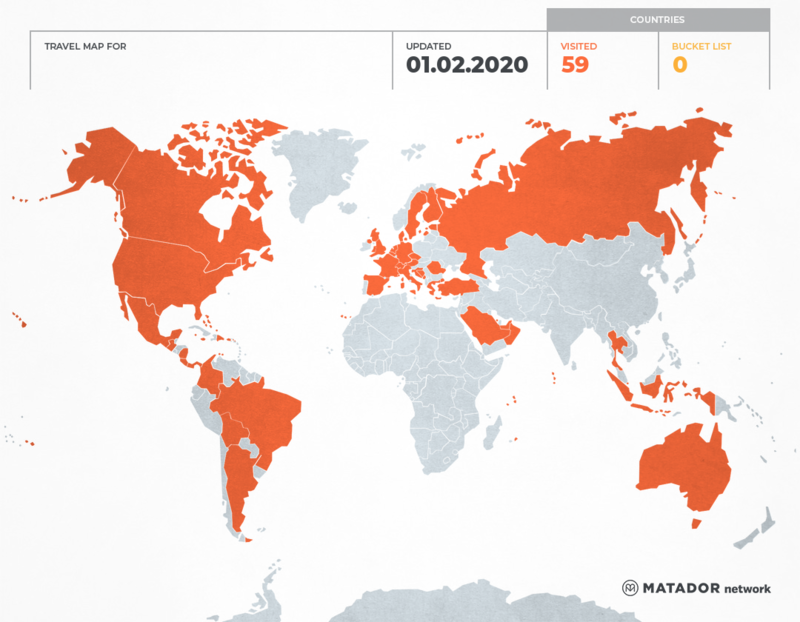 Out of all these months, our least favorite was March because it was super crowded and busy. This is a great guide to Tulum! I'd certainly like to return as we only went there on a day trip. The raw pad thai sounds intriguing!